On 11 July 2017, The Straits Times LIFE! carried the article “Local theatre groups nurture fledgling playwrights with masterclasses, mentorship programmes”, which celebrated the growth of writing programmes and new Singapore plays in recent years. This augurs well for the Singapore scene. We, at TheatreWorks, stand with our theatre colleagues in celebrating the fruits of everyone’s labour. TheatreWorks is, however, disappointed that we were not considered in the above-named article, which, as a result, ignored a large part of our Writers’ Lab playwriting development work in the last three decades. It is ironic that the Singapore Press Holdings was our first sponsor for the Writers’ Lab. We found it necessary to articulate, in brief, the work of TheatreWorks Writers’ Lab. TheatreWorks started the Writers’ Lab in 1990. The Writers’ Lab is still ongoing and has over the years evolved to remain relevant to the needs of our theatre scene. Through its various initiatives, the Writers’ Lab has made a difference and has impacted on Singapore’s playwriting ecosystem. The Writers’ Lab nurtured Singaporean playwrights and produced a number of prolific writers such as Tan Tarn How, Ovidia Yu, Eleanor Wong, Desmond Sim, Robin Loon, just to name a few. Along with that, we produced new writings, premièred new plays and published four compendiums of plays from the Writers’ Lab. 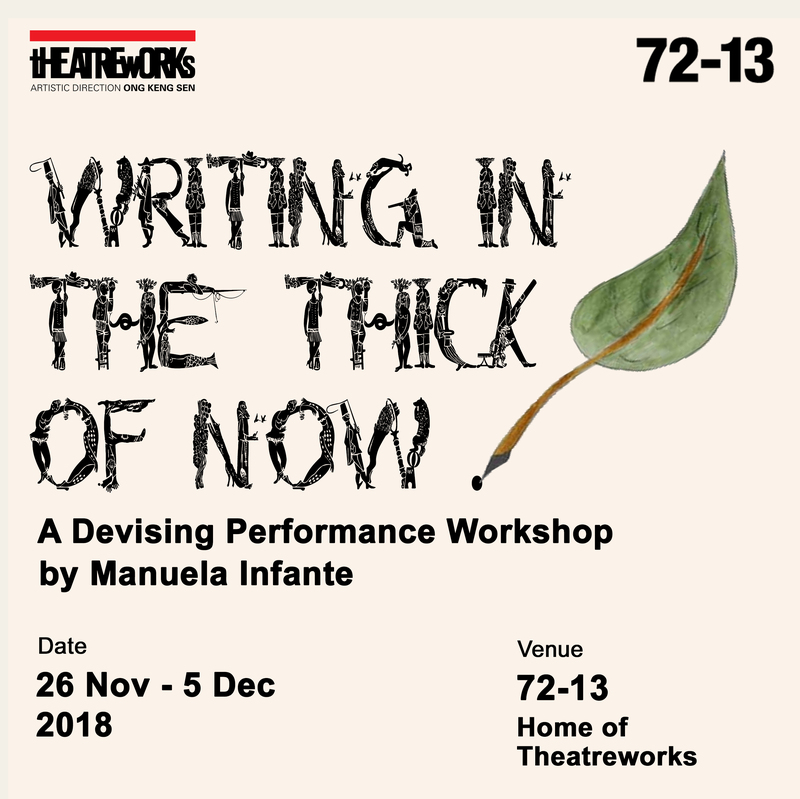 Ongoing for the last 20 years, is the annual TheatreWorks Writers’ Lab 24-Hour Playwriting Competition that has attracted close to 1,600 participants. This annual competition has discovered playwrights such as Jacke Chye (True Colours) Ng Yi-sheng (Ghost), Ahmad Musta’ain Bin Khamis (Serunding), Nur Sabrina Bte Dzulkifli (Of Babies (Not Really) And People). Yi-sheng has since gone on to publish his works and is known as a prolific writer, Ahmad’s work has been staged beyond Singapore, while Sabrina was recently awarded the Singapore Unbound Fellowship and will spend two weeks in New York working on a new writing project. The Writers’ Lab brought their plays to the heartlands. Our partnership with the South East CDC has also allowed us to produce a compendium of the winning plays of the 24-Hour Playwriting Competition from 2008 – 2015. This compendium is distributed to schools, educational institutions, public libraries and the general public, giving access to everyone as we seek to add to the canon of Singaporean works. In 2015, the Writers’ Lab began its Writing From The Heart programme and invited Filipino playwright Tony Perez to conduct a series of workshops. To date, about 80 aspiring playwrights have taken part in the workshops. More importantly, each year, Tony mentors a select few from the workshops for a period of 12 or more months. Writing from the Heart nurtured and developed Helmi Yusof’s My Mother Buys Condoms, which, we then persuaded W!ld Rice to produce for its Singapore Theatre Festival 2016. Recently, Writing from the Heart held a public reading of three new scripts, which were in development for a year. One of these plays, by a never-produced playwright, will be staged as part of TheatreWorks’ 2018 Season. TheatreWorks intends to keep the Writers’ Lab going and for it to be relevant. There is much to be done to push the artistic boundaries as well as giving voice to all who make Singapore their homes.